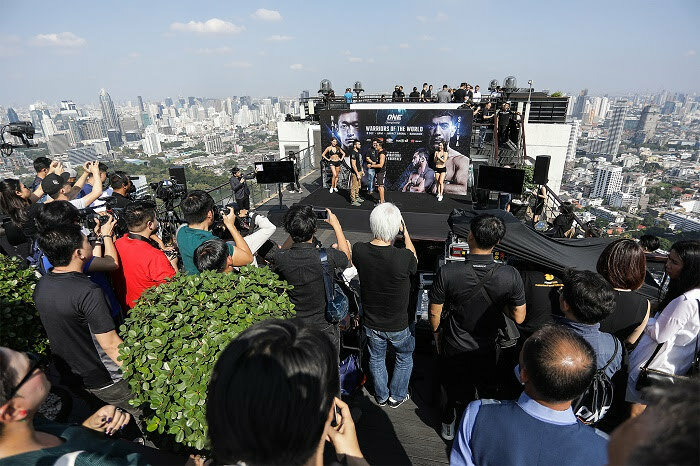 06 December 2017 – Bangkok, Thailand: The largest global sports media property in Asian history, ONE Championship™ (ONE), recently hosted the ONE: WARRIORS OF THE WORLD Official Face-off on Wednesday, 6 December atop the 61st floor of the Vertigo Restaurant in the Banyan Tree Bangkok Hotel in Bangkok, Thailand. 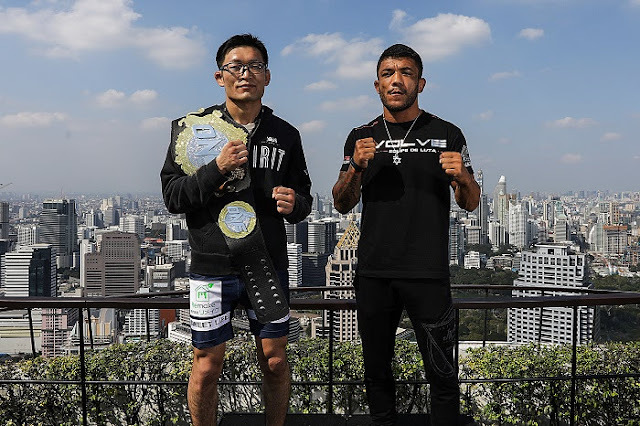 In attendance was ONE Championship President of Thailand, Mr. Kamol ‘Sukie’ Sukosol Clapp and main event competitors Yoshitaka Naito and Alex Silva, as well as co-main event competitors Shannon Wiratchai and Rasul Yakhyaev. The rest of the athletes also faced off. The press conference was held in lieu of all the action which takes place Saturday, 9 December at the Impact Arena, as the absolute best in local and international martial arts talent take the ONE Championship cage to showcase their skills in front of a global audience at ONE: WARRIORS OF THE WORLD. ONE Championship is the largest global sports media property in Asian history. Headquartered in Singapore, ONE Championship is the home of martial arts. The world’s most exciting martial arts organization hosts the largest sports entertainment events across Asia, featuring some of the world's best martial artists and world champions, all signed to exclusive contracts, on the largest media broadcast in Asia. 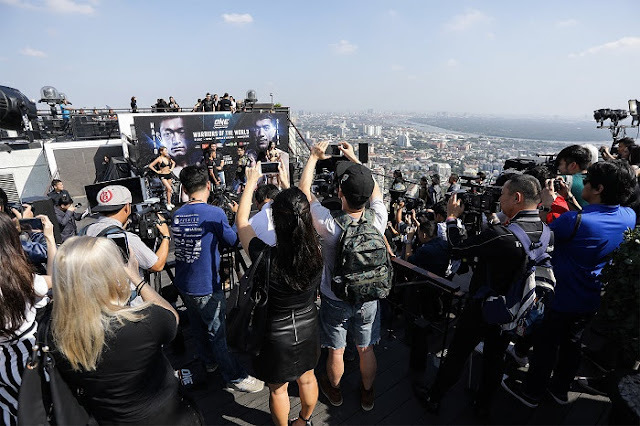 In addition to its digital platforms, ONE Championship broadcasts to over 1 billion potential viewers across 128+ countries around the world with some of the largest global broadcasters, including Fox Sports, ABS-CBN, Astro, ClaroSports, Bandsports, Startimes, Premier Sports, Thairath TV, Skynet, Mediacorp, OSN, and more.